When you are running a business, whether a start-up, small business, company or large organisation, brand identity is maintained and built through everything that you do. There are many things you do in your daily business routine that may seem unrelated to anything else, however everything from social media to order shipping counts towards the building of your brand. 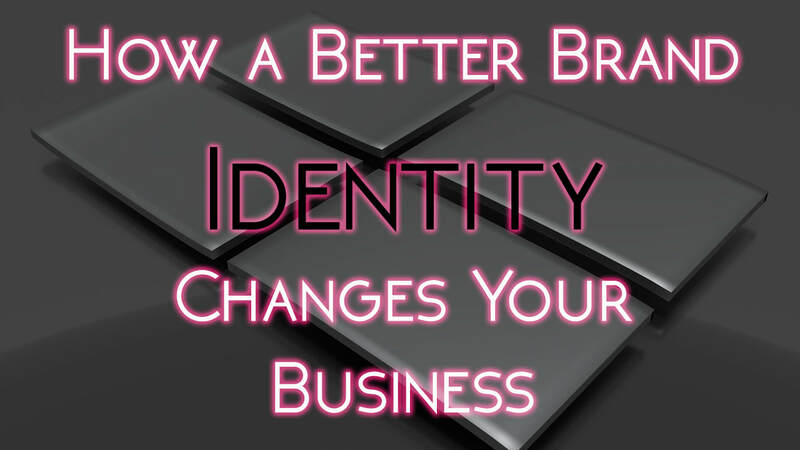 Everything you do in the operations of your business counts towards your brand identity. What Is A Brand "Identity" And Why Does It Matter? Brand identity is how you want your business to be perceived and how you present it to consumers. Brand identity is the intention behind your branding: the way your company decides its name, to the way the logo is designed, the colours it uses, shapes, visual elements of products and marketing material, the language you use in your copy and how you respond to consumers are all part of brand identity. You brand identity is how you want consumers to see you. Brand image is the result of your efforts, whether successful or not. To define Brand identity, it is what consumers think when they see your brand in the marketplace. Every word you use in public marketing, on your social media, in advertising and verbally will affect your brand identity. Every image you use, every colour in your branding and every reaction you have to both positive and negative responses to your business will matter. Brand identity is heavily influenced by your visual branding choices, which includes logo design, colour choices, website design, marketing materials and the ‘when, how, why and where’ you place your advertising. Not only this, but it relies on press coverage, social values, partnerships, marketing and especially customer interaction, both in real life and virtual(social media). From how you shake a customer’s hand to the content you post on your blog, spelling mistakes on your advertising to comment and reactions on social media profiles, anything that affects how your brand is perceived is part of your brand identity. Your brand identity directly reflects your brand equity. Brand equity is what happens after brand identity is achieved. If you have high brand awareness, you should also have high brand equity. Brand equity is when people like and trust your brand and give you money over your competitors. Without brand awareness, you can’t expand in the market. This means you can’t generate revenue and you will not see any growth. A high level of brand equity will create a loyal customer base, which directly leads to increased exposure and profitability. One of the best ways is to hire a professional marketing company to build it for you. Professional marketing companies will perform all the time-consuming tasks that build your brand equity, like the below. If you need to build your brand identity, hiring a professional will make sure you do the job right, and will save you time and money. If you need assistance with your branding, website, copywriting, editing, social media, content management of brand strategy, contact us today.